Pontoon boats by Qwest and Tahoe. All about the Pontoons. At Avalon/Tahoe, we use exclusive pontoon boat design technology to create great looking boats that are both durable and high performance. We invest in the best water based and computer aided design and manufacturing tools available to create pontoon boats with accurate dimensions, precise furniture patterns, exact aluminum sizing, and a smoother finish. We have mastered our design techniques over our 40 years in the business and we continue to innovate, bringing stylish and comfortable boats to the water. 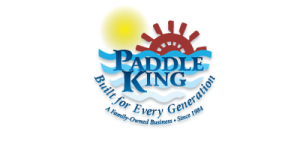 Paddle King, Inc. is one of America’s leading manufacturers of aluminum paddle boats, pontoons, swim rafts and floating docks. All of our products are built in Michigan and sold through a network of approximately 60 dealers throughout the Midwest. We recognize that your time is valuable, so we build our products with high-quality parts and material to require as little maintenance as possible and give the boat the longevity that is starting to become harder and harder to find in the marketplace today. This means more quality time on the water for you, your friends and family.